Helsinki is a fascinating European city, which is the capital city of Finland. 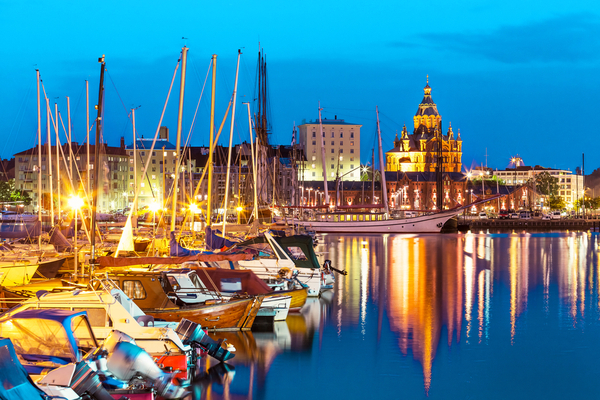 With its very own archipelago, Helsinki offers a cosmopolitan lifestyle that has something for every kind of traveler with several top attractions in Helsinki. The different seasons found here provide a fresh change depending on what time of the year that you visit. From the summer days which endless amounts of sunshine and warmth to the opposite of days filled on ice and snow blankets, creating a winter wonderland. Perhaps the best way to tour Helsinki is to acquire a Helsinki Card. A Helsinki Card is the perfect sightseeing package, which includes free entry to 20+ attractions and museums. With this card, you will also have access to unlimited public transportation, as well as a few other perks. The Helsinki card for tourists and visitors comes with a guidebook and map of the city. It also includes discounts for various sightseeing tours, events, and the airport bus. The Helsinki Expert Guided City Tour is a stable tour amongst the sites of the city. The tour is available in both Swedish and English. The tour begins at the Olympia Terminal and takes approximately 1 hour and 45 minutes to complete. The guide takes sightseers to the most interesting parts of Helsinki including the Senate Square, Opera House, Temppeliaukio Church, and the Presidential Palace. You may also tour Helsinki from the comfort of a double-decker bus. This tour comes with a few perks as it is available in 8 different languages. The ticket for the double-decker bus is also unlimited and valid for a full 24 hours. Other tours of Helsinki exist, including tours of many of the establishments that are located in the city. What to See and Do in Helsinki? There is always something happening here in Helsinki. Locals and tourists alike enjoy concerts, cultural events, and artistic exhibitions. Throughout the year, Helsinki hosts various events, celebrations, fun runs, recitals, contests, and more. A list of some of the most popular sights to see and things to do in the city of Helsinki are included below. The Helsinki Zoo and Oceanarium is home to an eclectic variety of animals. The animals range from those who originate in the tropical rainforest of South America to those that come from the bone-chilling Arctic Tundra. The Helsinki Zoo is also home to rare animals that come to stay from all over the globe. There are at least two hundred animal species at the zoo, along with almost one thousand varieties of plants. The Zoo is open seven days a week, though the hours vary. Find out more information about visiting the zoo in Helsinki. Panorama of Senate Square in Helsinki, Finland. Senate Square is a delightful conglomeration of four buildings designed with neoclassic architecture, dating back to the early to middle 1800s. The buildings in the square include the Government Palace, Helsinki Cathedral, the National Library of Finland, and the main building of the University of Helsinki. Find out more about what to see and do in Senate Square. Suomenlinna Maritime Fortress, one of the worlds largest, dates back to 1748. Open year-round, no entrance fee to the park, and a multi-vision show are only some of the highlights of this sea fortress. Despite all of the modern rides that range from scary and exciting to tame and pleasant, the wooden roller coaster is still an all-time crowd pleaser. Games, entertainment, arcade halls, and more add to the day’s fun that can be had here. If you like theme parks be sure to drop by. The National Museum of Finland showcases a portrayal of Finnish history with numerous artifacts and collections. The Ateneum Art Museum has Finland’s largest collection of art. Pieces include Finnish works of art from the 1750s all the way up to the 1960s. Western art is also showcased from the time period between the 1800s and the 1950s. It is closed on Mondays. Also, visit the National Museum of Finland which showcases a portrayal of Finnish history with numerous artifacts and collections. 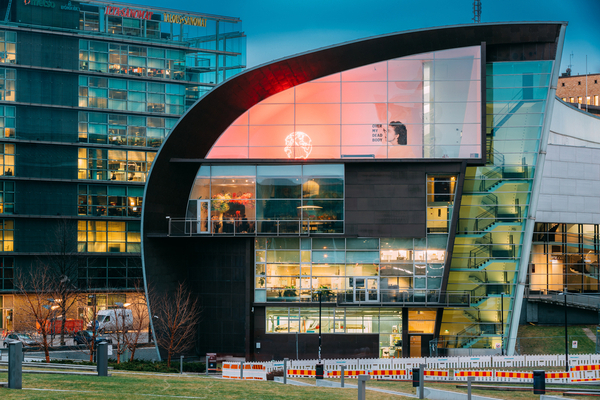 The Museum of Contemporary Art at Kiasma is home to special exhibitions, and performances in dance, drama, music, film, and more. 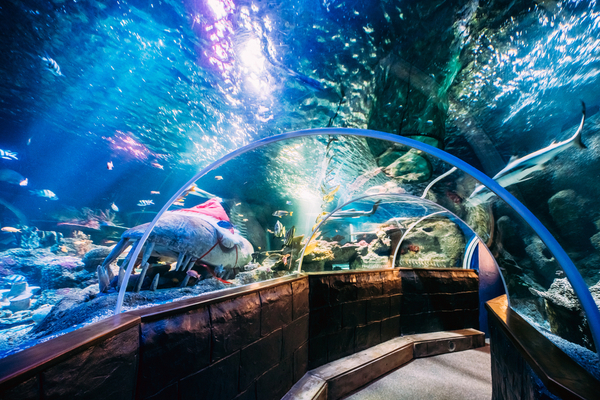 The Sea Life exhibit of Helsinki features an amazing opportunity to step inside of a giant ocean tank filled with crabs, sharks, starfish, rays, and more which are transported through a tunnel. The museum closed on Mondays. 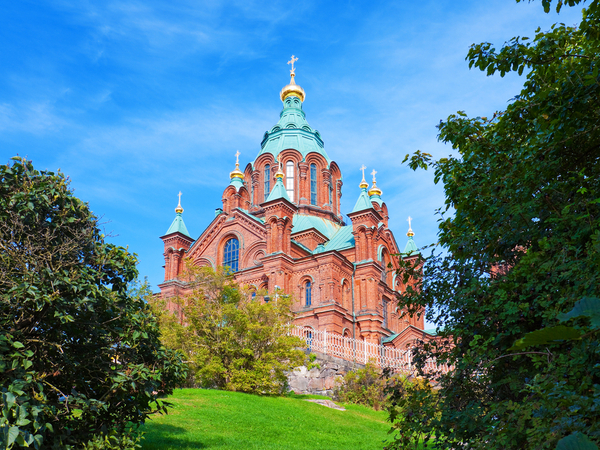 Uspenski Orthodox Cathedral, located in the Katajanokka section of Helsinki, dates back to 1868. It is a magnificent structure with golden cupolas, red bricks, and more. The design of the cathedral clearly shows an influence from the Russians. Temppeliaukio Church is a must-see on any travelers list. An amazing church, carved from stone and bedrock, it showcases many concerts due to its amazing acoustics. 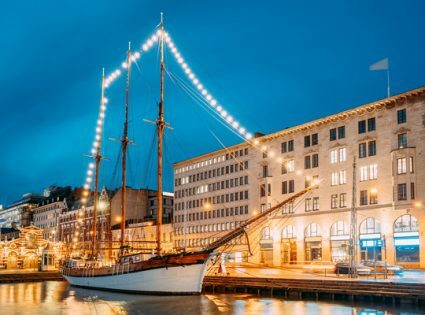 Helsinki might date back to 1550, but it has a lot of modern conveniences to offer modern day travelers along with a taste of its historical past. If planning a trip to Helsinki in Finland be sure to plan several days for touring this magnificent city that offers a multitude of interesting and cultural sights to see.